Anytime Taxi provides reliable Reno Airport transportation, as well as taxi service to the Truckee-Tahoe Airport and the Sacramento Airport. 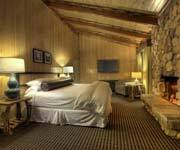 The easiest way to get around Truckee, Donner, North Shore and West Shore Lake Tahoe is to make a reservation with Anytime Taxi. Anytime Taxi operates 24 hours a day, but from 3am-7am in the morning is by appointment only. Any time you need them, you're guaranteed to be in good hands and get where you need to be for a great price! 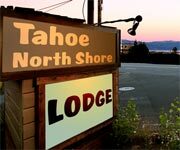 Features: Anytime Taxi provides Reno airport transportation and full taxi services in and around North and West shore Lake Tahoe. 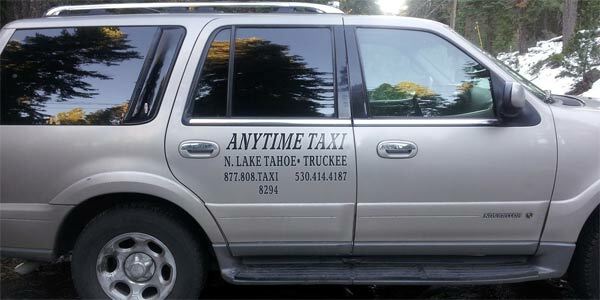 Guaranteed to get you there on time, this Lake Tahoe taxi is available to take you anywhere you need to go 24 hours a day. Know Before You Go: Anytime Taxi provides reliable transportation in Tahoe at hourly rates and flat rates for Reno airport transportation. Gets You There: They'll get you everywhere you need to go, whether it's to to the airport to catch your flight on time, or you're out enjoying all the great things to do in Lake Tahoe! 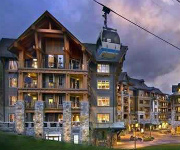 Schedule your ride to and from golf courses, ski resorts, hiking and biking trails or the lake! You're in Good Hands: This Reno and Lake Tahoe taxi service is completely reliable and caters to every transportation need! 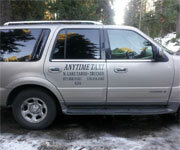 Available for special events, everyday activities, Tahoe and Reno airport transportation and more! They are fully licensed and insured, so you know you're in good hands. 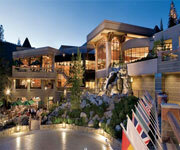 Nothing less for the safety of Tahoe travelers! Any Time You Need It: No matter what time you need to be somewhere! Anytime Taxi operates every hour of every day. You can arrange a ride from 7am to 3am any time, without advance notice. When you need a ride between the hours of 3am and 7am, just make an appointment and you're ride will be ready when you are!